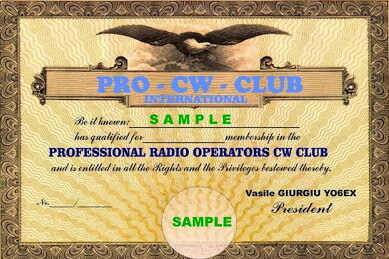 PRO - CW - Club is dedicated to preservation and encouragement the art of TELEGRAPHY communications. Yearly the first Saturday and Sunday of December TAC contest, wellknown by his first name, TOPS Contest, is one of the oldest in the world. First edition was held in 1947. After the disappearance of TOPS Club, the contest went into decline. At the end of 2006, our club decided to take this old and beautiful contest. PRO-CW-Club organized the first edition in 2007 and starting 2010 we changed the rules allowing traffic in 5 bands. In the years that followed, we tried to revive this contest. We believe, that we managed to elevate the value chain and re-bring it to the attention of amateur radio operators. Above text from the PRO-CW-CLUB site. May I greet you as a new ASSOCIATE member? Do not need any recommendation. You will receive a beautiful certificate of membership. W6SFM Bug Roundup Event is coming May! 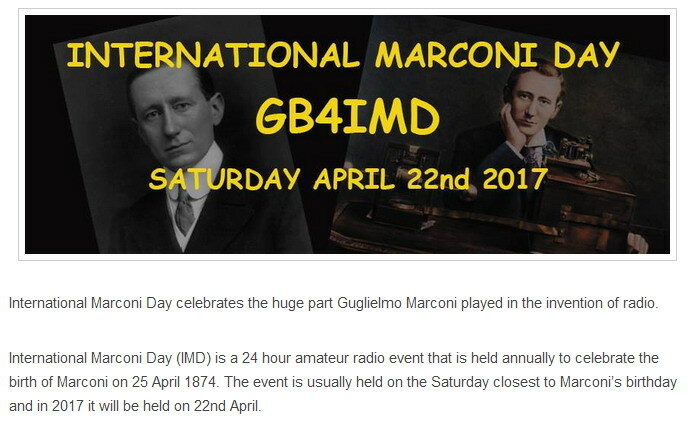 In the same spirit as ARRL's Straight Key Night, participants are encouraged to make simple, conversational, “chewing-the-fat”, "Rag Chew" QSOs using their bug type key. This is an opportunity to exercise, share and exhibit your personalized fist. We hope to hear you all on the air! I copy to a keyboard and often notice that my fingers correctly typed characters that I was not sure of by what I thought I heard, especially at speeds above my ability to copy accurately by listening and writing the characters. I believe that the brain hears the CW and direct the fingers to type the character without having translated from the CW sound to an alphabetical character prior to directing movement of the finger. In one case, there are three steps: hear the CW sound, translate to alphabet, and move the key. In the other case, there are only two steps: hear the CW sound and direct the finger to move. Is it possible that this is compatible with current understanding of how the ears, brain, and fingers work together?